The high-income partnership between psychiatry and drug companies has created an $80 billion psychotropic drug profit center, requiring constant marketing to push harmful and addictive psychotropic drugs on a vulnerable public. How did psychotropic drugs, with no target illness, no known curative powers and a long and extensive list of harmful side effects, become the go-to treatment for every kind of psychological distress? And how did the psychiatrists espousing these drugs come to dominate the field of mental treatment? The fact is, the American Psychiatric Association, the American Medical Association and the National Institute of Mental Health admit that there are no medical tests to confirm depression as a disease but do nothing to counter the false idea that these are biological/medical conditions when in fact, diagnosis is simply done by a checklist of behaviors. There are 77 entries in the Diagnostic and Statistical Manual of Mental Disorders (DSM-5) using some variation of the word “depressive”, so that nearly anyone can be so diagnosed and prescribed harmful and addictive psychotropic drugs. Yes, people experience various symptoms of mental distress. This does not make them “mentally diseased” and there is no evidence of physical/medical abnormality for the so-called diagnosis of “depression.” This doesn’t mean that there aren’t solutions for people experiencing difficulty; there are non harmful, medical alternatives. But they do not require a psychiatric “label” to treat them. There is no mental illness test that is scientifically/medically proven. This isn’t a matter of opinion — psychiatrists who are opposed to the labeling of behaviors as mental illness openly admit this. Dr. Thomas Szasz said, “The term ‘mental illness’ refers to the undesirable thoughts, feelings, and behaviors of persons.” More properly, it is just what psychiatry and psychiatrists have inappropriately labeled as “undesirable behavior;” the prime undesirable antisocial people on the planet telling you what they think is undesirable! Find out more about the fake “disease” called depression and the harm that anti-depressive drugs do. Watch the documentary exposing the truth behind the slick marketing schemes and scientific deceit that conceal a dangerous and often deadly sales campaign. 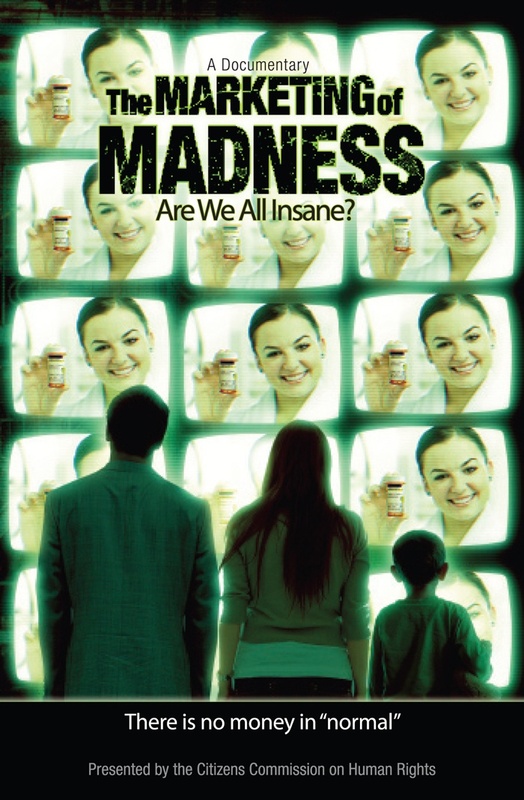 The Marketing of Madness Education Package is the ultimate resource for educating others on the dangerous effects of psychotropic drugs, and the multi-billion-dollar psychiatric-pharmaceutical partnership now dominating the field of mental health. CCHR is offering this kit for free to educators and lecturers to assist them in educating others about the risks of these mind-altering drugs, and to furnish information that is generally not told to patients or physicians. Arm yourself with the facts about psychiatry. ← Is It a Drug Allergy or a Side Effect?